Emptiness is loneliness, and loneliness is cleanliness, and cleanliness is godliness, and God is empty, just like thousands of seats for the upcoming Smashing Pumpkins reunion tour. The band has been getting a lot of press lately, thanks to a much-ballyhooed reunion of original members Billy Corgan, James Iha, and Jimmy Chamberlain—and also thanks to a very public feud between Corgan and ex-bassist D’arcy Wretsky, who will not be joining the “Shiny And Oh So Bright” tour featuring all those loud and brooding hits from the angsty heyday of Gish through Machina/The Machines Of God. It’s the kind of thing that makes an old fan of the band excited to pull their moth-eaten “Zero” shirt out of the closet and enjoy an evening out, singing along to songs about how awful the world is and how nobody understands you. 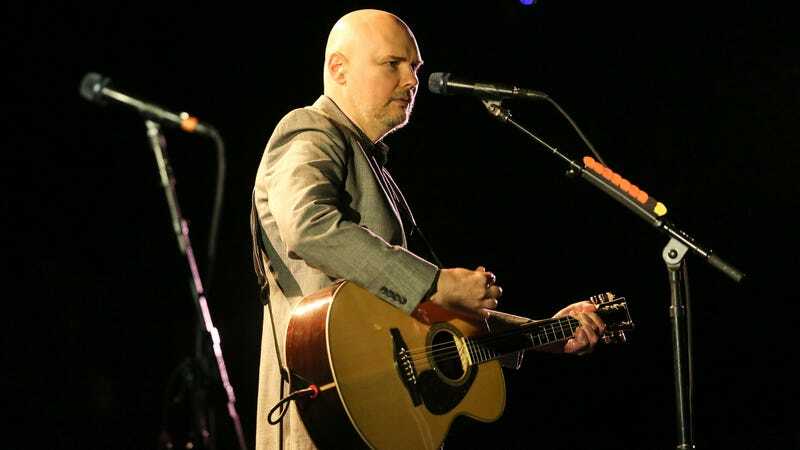 We knew Billy Corgan had the blues, but not in quite such a stark manner. Part of it might be the arena-sized venues the Pumpkins are booked to play, which do seem a bit much for a band well past its MTV-courting salad days. Ticket prices are also a bit steep, with even nosebleed seats in a number of places going for more than a hundred dollars. On the plus side, this might be good news for fans who were interested in attending but had put off buying tickets right away: You’ll probably see some great deals in the coming days. Today might not be the greatest day you’ve ever known, but it could turn out to be pretty cool for fans of affordable shows. What’s the point of The Smashing Pumpkins’ overstuffed Adore reissue?